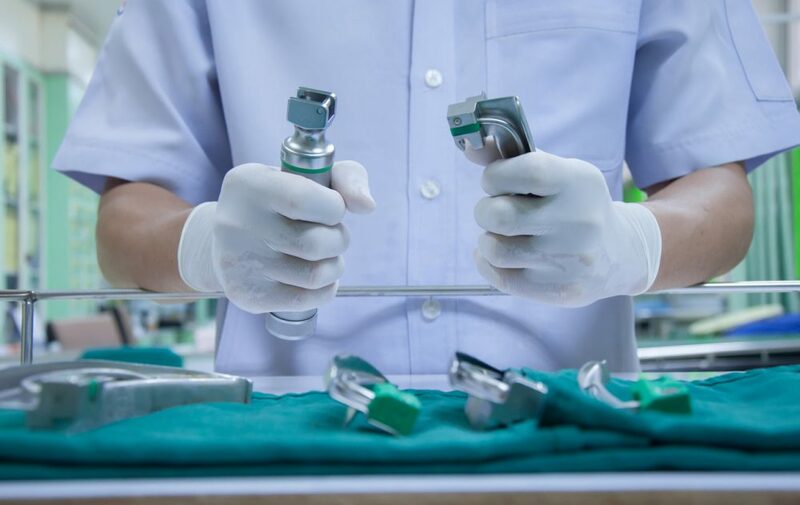 In a blog for trainee doctors, Faro Ndokera looks at the evidence about the use of videolaryngoscopy as compared to direct laryngoscopy in three patient groups. Learning new things is a challenge. So many interlinking factors are important: the teacher, the environment, the skill and the knowledge or procedure being learnt. When that procedure is a life-saving/sustaining intervention like intubation, the necessity for it to be taught and learnt correctly are even more important. This blog covers a suite of three reviews looking at videolaryngoscopy versus direct laryngoscopy in three patient groups- neonates, children and adults. In looking at this I have enlisted the help of some trainee colleagues in paediatric intensive care (Peter Sidgwick) and adult anaesthetics (Elizabeth Yates) and I (Faro) will look at the neonatal review. Videolaryngoscopy versus direct laryngoscopy: is there useful evidence for practice? When have you seen videolaryngoscopy used/have you used videolaryngoscopy? Faro: I have only ever seen videolaryngoscopy used in a paediatric case where a child with a known difficult airway required intubation. It was a high stress, but well controlled situation where ENT and anaesthetic consultant colleagues worked together to ensure the intubation went smoothly. I haven’t seen it used in a neonatal environment and certainly haven’t been taught how to use it. In a situation where intubation was difficult, we have a difficult airway protocol which would involve much more senior people than I, possibly someone like Pete, using their skills to obtain an airway. Peter: I started my paediatric airway career with a stint in anaesthetics which is where I came across videolaryngoscopy for the first time, and since then I’ve used it reasonably frequently both to avoid and resolve difficult situations. One of the most clinically exposed situations I’ve found myself in is during PICU retrievals from district general hospitals. I was the team doctor in the retrieval of a six month old child with respiratory failure and severe micrognathia which was making bag mask ventilation difficult; for this child videolaryngoscopy converted a grade 4 airway into a grade 2 airway and converted a precarious situation into a safe one. Recognition of the potential for a difficult airway and a clear readiness to reach for the videolaryngoscope in advance of finding myself in difficulty is so important. Airway grading is used to describe the best possible view of the glottis (airway) when viewed with a laryngoscope. The following link may be useful for those unfamiliar with the system http://www.frca.co.uk/article.aspx?articleid=257. Elizabeth: The first time I used videolaryngoscopy was in my second year as a Core Anaesthetic Trainee during a training list with a consultant. He suggested, on discovering I hadn’t used the videolaryngoscopy before, that we try it out on an elective patient undergoing a low risk operation. The videolaryngoscope was easy to use and seemed to draw on the direct laryngoscopy skills I already had. It showed a fantastic picture that could be viewed by everyone in the anaesthetic room (avoiding that dreaded command from the consultant: ‘Say what you see!’). Did you have any specific training on its use and how did that go? Peter: I actively sought out a difficult airway course quite early in my career. This involved exposure to a wide variety of products, including videolaryngoscopy, and different clinical contexts, and I then put that knowledge into practice in theatres. Elizabeth: I have heard of the videolaryngoscopy being used as a teaching tool both in theatre and on manikins, although this is not how I initially learnt. Peter: I started asking to attend ‘difficult airway’ lists, proactively thinking “could the videolaryngoscope be useful here?” This meant that I then put it into practice in an elective context. Elizabeth: This is often the practice in anaesthetics; we make a conscious effort to learn or refresh skills in elective patients, in hours, so that we are familiar with them if required in an emergency. Peter: From using videolaryngoscopy electively, I have gone on to use it in both anticipated and unanticipated difficult airways both in PICU and on retrievals. Faro: The review on neonatal intubation with videolaryngoscopy sadly has no studies in it. * There are three studies currently ongoing, so we hope that when this review comes to being updated we may have some information to go on. I don’t think this is necessarily a surprise, as it is common that practices like this start in the world of adult medicine and slowly progress to the neonatal and paediatric population. So, watch this space. Peter: The paediatric review includes 12 studies with 803 children. The review reports probable improved glottis views with videolaryngoscopy vs direct visualisation, however the incidence of successful intubation on first attempt is no higher than with direct laryngoscopy. Furthermore, the review identified increased duration of intubation attempts with videolaryngoscopy although the clinical significance is unclear- five seconds longer in the videolaryngoscopy group. These findings are based on low and very low quality evidence which means that we really can’t be sure about how important and accurate these findings are. Three studies were awaiting classification with 2 studies ongoing. It is possible that our understanding of this area will improve significantly when this particular review is updated. Elizabeth: In the review looking at the use of videolaryngoscopy compared to traditional direct laryngoscopy in adults, which included 64 studies with 7044 patients, moderate quality evidence suggests that videolaryngoscopy probably reduces the number of failed intubations in all patients and specifically in those with a difficult airway. When the patients are split into two groups: those with a simulated difficult airway and those with no predicted difficult airway, failed intubations were only significantly reduced in the simulated difficult airway group. There is also evidence suggesting reduced sore throat and hoarseness post procedurally in those undergoing videolaryngoscopy and better views of the glottis. 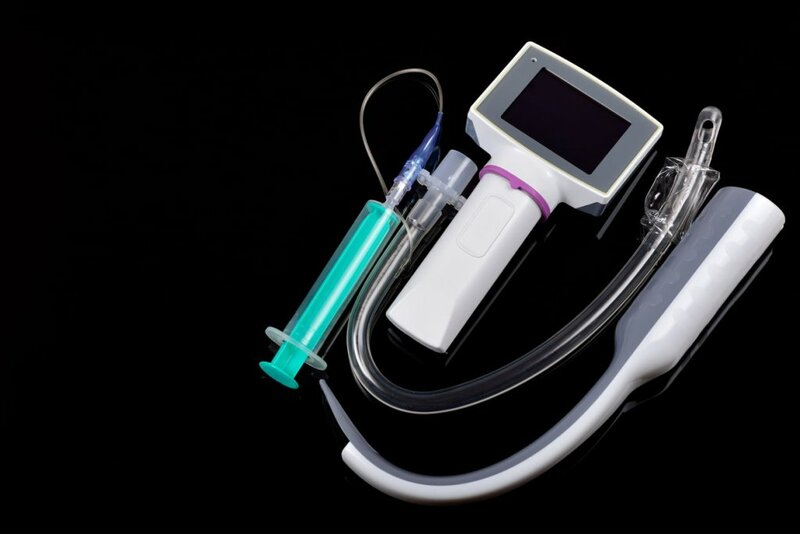 Intubators in seven studies even reported that the videolaryngoscopy was easier to use than a traditional laryngoscope! The studies, importantly, included a variety of patients, elective, emergency, predicted or known difficult airways and moderate quality evidence for the primary outcome. How will the review findings change your practice? Faro: Well, given the lack of studies on the subject it doesn’t seem that videolaryngoscopy is going to be found on the standard neonatal unit near you any time soon. However, positive results in the adult population may well be replicated in the 3 ongoing studies in neonates. We will just have to wait and see if videolaryngoscopy will make its way to neonatal units and improve outcomes in this cohort of fragile little ones in the future. Peter: I think that most people would argue that videolaryngoscopy is a useful tool in paediatric airway management although his review suggests that we do not yet have the high quality evidence in this population to back up our clinical experience. Whole-team training (nursing, medical and theatre staff) and practice are of vital importance, as are active anticipation of the difficult airway before any intubation attempt whether one is using videolaryngoscopy or not. Elizabeth: The adult review is mainly based on moderate quality evidence which means we can be more confident of what the results are telling us. I feel the review backs up my current practice and confirms the benefit of videolaryngoscopy in those with a difficult airway. A number of trials are still ongoing/awaiting classification and so the strength of this evidence may increase with the next update. Oh, and if you are still wondering how you simulate a difficult airway on a real life patient – the investigators used tape or manual in-line stabilisation to prevent neck flexion or head extension, thus making it more difficult to create a line of sight to the larynx (as seen in trauma patients, un-cleared c-spines and patients with a fixed neck). So, it seems that videolaryngoscopy may be making the march from adult to paediatric and then neonatal care with increasing numbers of trials being conducted. Videolaryngoscopy is already being used in clinical practice, as demonstrated by both Peter and ELizabeth’s experience, but how and when we use such tools may change as the evidence becomes clearer. Thank you to both Elizabeth and Peter for contributing your time to this. *Editor’s note: This review was updated in June 2018 and now includes three studies. The link in the blog has been updated.